The healthcare community has become extremely focused on improving the patient experience as individuals receive health services. These experiences can include making an appointment and seeing a provider, communicating with an insurance company, receiving care as an inpatient, or being the family member of someone who is hospitalized. Most organizations follow up this experience with some sort of survey. It seems that everyone is bombarded with surveys that seek to measure satisfaction wherever they turn- getting coffee, ordering items online, and of course- receiving health services. Healthcare organizations must be fully aware of what is important to their customers in order to provide the best possible care and thus receive high recommendations. The goal of achieving positive scores should not be the scores themselves. 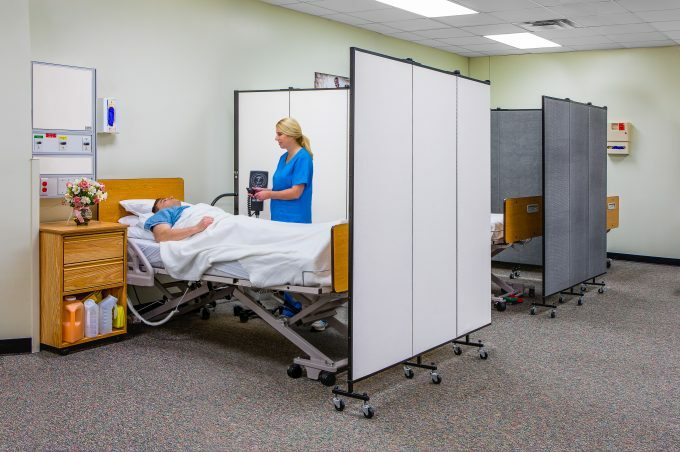 The goal should be to provide an experience that makes an individual feel safely and highly competently cared for, to the point that they would recommend that facility to others. This demonstrates that organizations are ultimately fulfilling their mission. 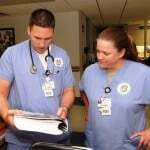 Hospitals use standardized patient experience survey tools that allow them to benchmark against similar organizations. These scores are also reported online and are easily available to consumers. Consumers, in turn, are becoming more ‘patient satisfaction’ savvy and are turning to publically-reported websites to research hospitals and providers prior to seeking care. Patient experience is a very subjective aspect of healthcare. One patient might consider a brief visit with a personable physician a very positive experience if they received answers to their questions and felt confident in the physician. The look and feel of the examination room might be completely irrelevant to that individual. Another patient may very critically look at the signage getting them to the right parking lot, the decor in the waiting room and the level of privacy at the check-in area and consider all those details when filling out a survey. The time spent with the physician and the quality of that part of the visit only partially impacts their overall experience. One area that organizations should consider as part of the patient experience is privacy. Consumers are well aware of the potential for identity theft that can occur on any given day, and healthcare visits are no exception. There is a great deal of very private information that is shared during a physician visit or hospital stay, and it is the responsibility of each organization to take every possible step to protect patient information. Steps to ensure privacy can include having patients pre-register and check-in for appointments online, thus reducing the sharing of private information at a front desk or adding portable privacy walls. Instructions for follow-up care can be sent to the patient through a secure portal with questions answered in a private room and not in an open area. 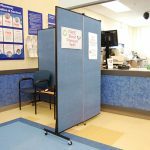 Portable privacy screens can separate patients in busy waiting areas and create a sense of individualized attention when approached by someone from registration. Simple steps such as these can go a long way in increasing the comfort level of a patient. Just as important as providing the privacy is making sure patients are aware of the actions that have been taken. “We are sending your follow up instructions through a secure link so there is less risk of papers being misplaced”, “Once we get to a private room I’m going to verify your name and date of birth”, and “Do you have any questions that I can answer before we leave the privacy of this room?” are all statements that can demonstrate to patients that an organization cares about protecting patient privacy. This may result in strong patient satisfaction scores, but most importantly, instills trust that the organization has the patients best interest at the core of what they do.